Initial reasons to study karate range from desires to learn to fight, protect one’s self or family, to the need to advance capabilities in fitness, strength, coordination and flexibility. With time and dedication, heightened insights into self-image, discipline, confidence and enhanced develop. Karate is a physical, mental and emotional endeavor that helps students learn and grow in areas that are not emphasized today in our schools. Through karate’s discipline, each student develops abilities to THINK and react, BE positively in each moment and DO with precision what must be done. Karate training begins to give young students and adults the ability to achieve positive successes in a supportive atmosphere. Foundation skills become memorized forms, and are used for self-defense and fighting skills. It is imperative for students to practice skills learned to retain material, develop needed abilities and insights and to prepare to learn new and advanced skills. From the first day at the dojo students are asked to follow certain procedures as they enter the dojo. Gis are kept clean and obis are to be tied a particular way. These basic activities prepare students to take care of the “little things”. Every element in training is crucial for proper discipline and mental development. Each student learns that there is one way to make a proper Isshin-ryu fist, to place feet a certain way to establish the proper stances, and to move arms and legs in a certain way to punch, block or kick effectively. Beyond these areas, proper posture is needed to enhance balance and efficient movement. Appropriate breath control is also needed to develop and enhance wellness and power. Developing strength of character to do what is right is another factor that instructors emphasize. Each student faces accountability because he must learn and demonstrate abilities in kata, self-defense and kumite prior to earning advancement. Furthermore, these qualities and life skills assist the student to become a positive and successful force in school and community. 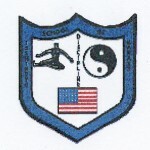 Challenges and stresses students encounter and overcome in the dojo aid the individual beyond the dojo. The intention of traditional karate is to end conflict, psychologically, placing the focus on perfecting the physical body. This is achieved by performing strengthening drills and using the repetition of drills to improve one’s health and the creating the ability to perform effective techniques. The technique is the basis for perfection, because as one works to perfect the form of the technique, the physical, intellectual and psychological sides of the student must work together to become a cohesive unit. As the individual technique is improved, it is joined with other techniques, adding form, timing, rhythm, speed and focus of power when the student performs kata, kumite and kobudo. Karate is not mystical but demands concentration, effort, focused intention and dedication. With black belt supervision and instruction the process to understand the depths of karate within the dojo is enhanced. This instruction using the proven step-by-step methods is essential. Each student must permit guidance through the knowledge into “the way”, and not become concerned with how fast one learns but how well one learns. Hard work in class must be done but each student must take what is learned home and practice. Procedures learned in the dojo must become the process for training when on one’s own. “Just going through the movements” is not going to help a person improve. In fact haphazard practice does more harm than good. It has been said that it takes twenty-one days to create a habit. If a person trains improperly, what is being learned is that is “OK” to do things improperly. This will carry over into the dojo, a student’s schoolwork and an adult’s job performance. HOWEVER, anyone may work to attain a goal and succeed if the proper mindset and effort are applied. No two students at any rank are the same in ability, intelligence, maturity and time in Isshin-ryu Karate. In karate, as in life, one often thinks of gaining something. How far has one progressed and how far it is to obtain a higher rank? The student and parent ask how long is it going to take to become a certain rank and how often do students gain promotion? If the student concentrates on promotion and gain, a conflict occurs between karate’s intrinsic ideal and the reality of one’s ability. The conflict enters the karate world when one creates a picture of what one wants, what one expects, establishing his or her own time line for attaining the goal. Being concerned with how quickly one learns will create anxiety, which will inhibit learning. Each student must maintain “the beginner’s mind” and be open to constructive comments. At times it is not easy to accept constructive criticism, however, each comment is an attempt to help the student improve. Karate training may become a life-long journey. To keep practice and progress ‘alive’ one must develop ways to keep the beginner’s spirit in the time devoted to training. A conscious effort to improve through disciplined training is necessary without desires to change the style. Attention to detail will add emphasis to each element of one’s progress. It is necessary to practice under a wide variety of conditions and circumstances to add realistic elements to enhance training and value of the efforts applied to one’s study. This enhances understanding of technique and also helps to promote enthusiasm and keep boredom and lethargy to a minimum. Another key element is the use of visualization. At a high level of ability, one sees internally the perfect technique and strives to make that technique the one uses. Beyond seeing the perfect technique, one should concentrate on how the mental image feels rather than stressing about the actual mental picture. The ability to mentally see the opponent within the situation and the way one reacts and feels within the situation is at the peak of understanding. This ability enhances training and ultimately the application of techniques if needed in real necessity. Training now is able to use previous experience to enhance what is learned today and also what the future may hold. The mind is the center and originator of thoughts and activity. Countless minute details must be calculated in the performance of a single technique applied within a short distance in an exceedingly short period of time and with maximum speed. Complex movements require the mind to perform numerous calculations in the amount of time that lasts no longer than a few seconds for each combination of techniques. To learn effectively the student must learn to release stress and relax. The calm mind is clear of outside influence. The goal during training, competition and application of what is learned is to focus one’s concentration on the elements of the form, breath control and proper tension of muscles with instantaneous relaxation after delivery to create the devastating power within each technique. The student becomes able to experience and deal with stress and solve the problems either during the imagery session or afterward. With practice the ability to perform at the level desired is achieved when imagery has trained the mind for proper behavior, response, and execution. As a result of this repeated training the student develops and improves concentration, mental focus, personal performance and also self-confidence. Consciousness is enhanced, as is the unity of the mind and body. To attain abilities in mental imagery to positively affect personal training, as many senses as possible should be involved to create a realistic image of the situation. Images should be optimistic and positive to achieve the desired results. Daily practice during a relaxed state in an atmosphere that will not affect concentration is necessary to increase effectiveness. To become a well-rounded karateka all aspects of the art must be practiced. To objectively evaluate personal performance of kihon, kata, kumite, kobudo and other necessary elements while in the dojo or at home, keep a training journal to make sure that no aspect is overlooked. Using a video of the training session is helpful for the student to accurately determine if perceived abilities are actually being performed. STRIVING FOR PERFECTION IS A NEVER ENDING PROCESS. Karate training is ageless; we can grow old with it and never exhaust its dimensions. In this way the mirror will always need polishing. The beauty of Isshin-ryu Karate is that it is a very basic style where one develops directness of power that may be generated through direct application of proper techniques. The simplicity challenges each of us to improve form and to be able to execute the kata, kobudo and kumite skills effortlessly. The challenge is to strive to understand the many levels of learning and interpretation. The purpose of karate is to find peace, not from fighting, but from the inner confidence we gain as we work to perfect the system created by Tatsuo Shimabuku. The new student brings enthusiasm to the dojo. The advanced student understands (in time) he or she is not at the top of the mountain but somewhere along the side of the mountain. Although promotion is not the focus of training, each new rank is a challenge that must be accepted. Then as one “grows into the rank” it becomes the reward of Thinking deeply about what one is doing is crucial for proper growth. Being alive and a conscious part of every action is necessary to maintain a positive mental attitude if there is to be longevity in one’s training. Doing the needed repetitions to develop form added with speed to create the power of Isshin-ryu Karate is what makes the performance of each technique dynamic and effective.